According to the JP’s Sports & Rock Solid Promotions website this will be Dermontti Dawson’s first JPRS Appearance. Show hours for Saturday, January 14th, 2017 are from 10:00 a.m. to 5:00 p.m. Admission: Adult $10.00 per day. Kids under 12 are FREE. 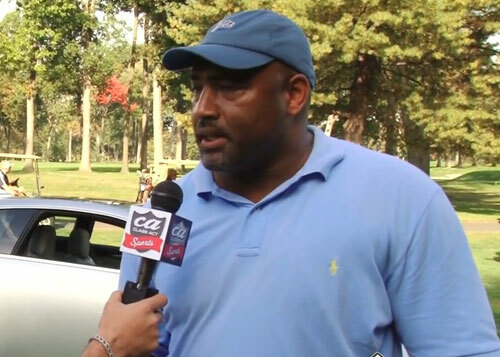 Dermontti Dawson is a retired NFL center who played his entire career from 1988 to 2000 with the Pittsburgh Steelers. Dawson was selected by the Pittsburgh Steelers in the second round of the 1988 NFL Draft and became one of the most respected players among the Steelers. Dawson was a seven-time Pro Bowler from 1988 to 1994 as well as a six-time AP First Team All-Pro from 1993 to 1998. Dawson was also voted for the NFL 1990s All-Decade Team by the Pro Football Hall of Fame. In 2012 Dawson was inducted into the Pro Football Hall of Fame. Sports Speakers 360 is a booking agent for pro athletes. If you would like to book Dermontti Dawson for a speaking engagement, appearance or endorsement, contact a Dermontti Dawson booking agent for fees at 1.855.303.5450.